This brand new property development from Phuket 9 Real Estate is a stunning new project located in Rawai, Phuket located only 300 meters away from the seafront. Each unit is a single storey house, with options for one bedroom, two bedrooms or three bedroom villas. No matter how many bedrooms you choose, each will come with a private pool, a parking for one or two cars, a terrace, a spacious living room and kitchen, a gazebo near the pool and recreation area under the roofing outdoors. First two houses will be complete within July, 2014 and we would like to invite everyone to visit our construction site. Rawai Vip Villas is the greatest project in Southern Phuket which is at the most convenient location for retirement and holidays. 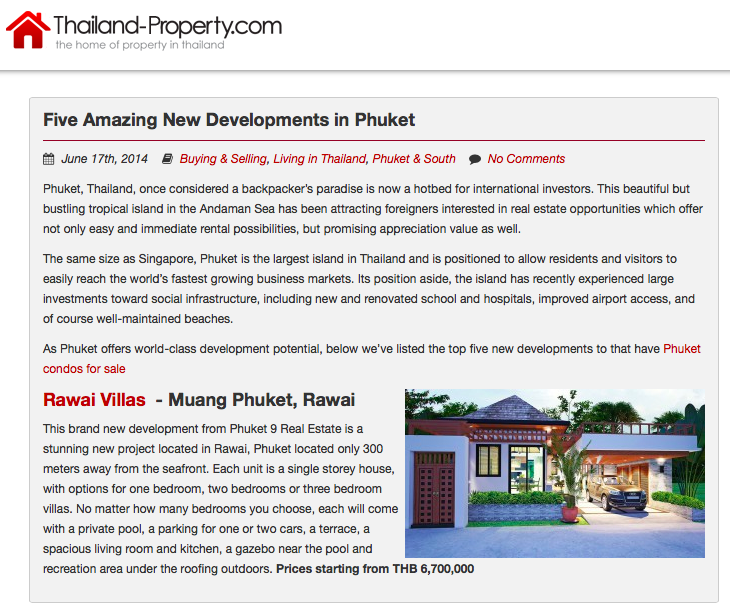 Walking distance to Rawai seashore with developed infrastructure gives our project a big credits for the future.